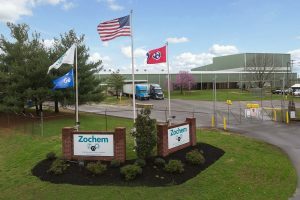 Zochem Company Profile - Zochem, Inc. When Zinc Oxide LLC launched in 2013, it was North America’s newest manufacturer of zinc oxide. In fact, our plant in Dickson, Tennessee was the first ZnO plant to come on line in North America in over 20 years. In October 2017, Zinc Oxide LLC announced the acquisition of Zochem, a subsidiary of American Zinc Recycling LLC. The new company operates the combined North American capabilities. Headquarters is now at the Zinc Oxide LLC Dickson TN facility. Today, Zochem is the largest producer in North America at 95,000 MT capacity. Founded in 1933, Zochem has been located in Brampton, Ontario since 1974. Led by a team of industry veterans, Zinc Oxide LLC has rapidly established itself as a key player in the market. Both the Brampton and Dickson facilities manufacture with the French Process method exclusively, as this method produces zinc oxide with the most consistent quality and highest purity. Another company strength is Zochem’s extensive domestic and global distribution network. With an 85+ year history, Zochem is “new” again, reinvigorated by new capabilities and a new perspective. The senior management team is the most experienced in the industry, with a combined experience of over 250 years. Chances are, you already know and have worked with team members. We came together to form Zinc Oxide LLC after realizing that the market needed another choice. But we are not just another marketplace option, our goal is to deliver the best product, service and customer satisfaction. 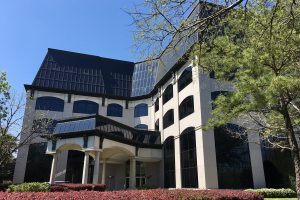 Both of North American facilities produce grades designed for the rubber, tire, chemical, pharmaceutical, cosmetic, oil additives, ceramics, electronics, glass, plastics, paint and coatings, tape and adhesives, and fertilizer markets. Regardless of the industry, Zochem can meet your zinc oxide needs. We also have the capability of producing customized grades of zinc oxides and we ship in a wide variety of packaging, including custom packaging. And you will likely benefit from our centralized plant locations, close to all modes of transport. We invite you to contact us to learn more. World-class North American Distribution network with 15 distributors having 35 strategically-located warehouses.